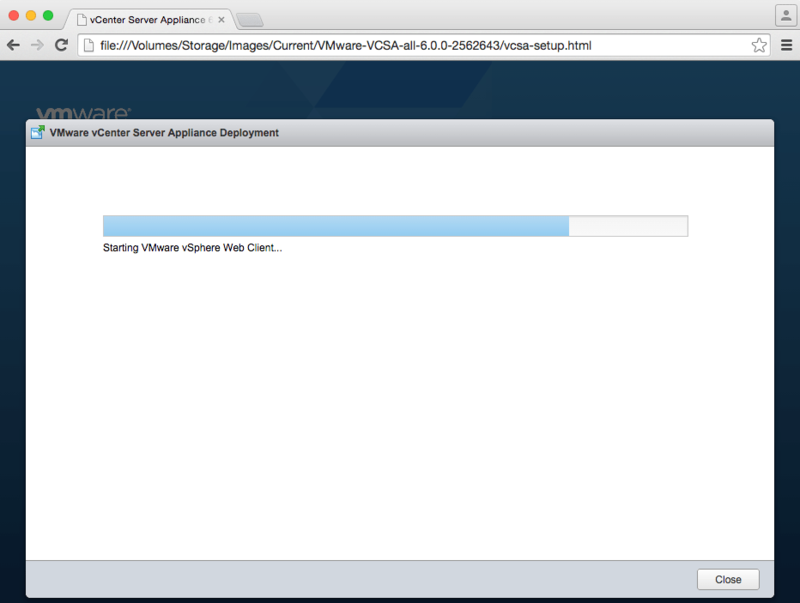 You are here: Home / vSphere 6.0 / How to deploy VCSA 6.0 using the HTML UI Installer on Mac OS X? Note: This trick will only allow you to deploy either an Embedded VCSA or Platform Service Controller. It does not work when trying to deploy an vCenter Server Management Node which is why I suspect Mac OS X support was not in this initial release of vSphere 6.0. Step 3 - Open up a terminal and change into the root directory of the extract VCSA ISO and we will need to modify the vcsa-setup.html file. Note: You might also be able to use this trick for Linux desktop by properly replacing the navigator.platform property with the correct OS type. I have found sometimes the HTML UI is stuck at the "Starting VMware vSphere Web Client" screen but when you look at the VM Console of the deployed VCSA, it is completely done. I recommend that if the VM Console looks done, you can just close this screen and just open a browser connecting to the hostname/IP Address of your new VCSA and everything should be working as expected. If you prefer to deploy the VCSA 6.0 on Mac OS X through an officially supported method, there is also a new VCSA CLI Installer that is supported on Windows, Mac OS X and Linux which you can find more details in this whitepaper here. In addition to this trick, you can also deploy the new VCSA 6.0 directly to vCenter Server or onto VMware Workstation/Fusion, for those alternative approaches be sure to check out my Ultimate automation guide to deploying the VCSA 6.0. Nice post as usual! I tried this procedure and was able to install VCSA 6 under ESXi 5.5U2 running under Fusion 7.1.1. However, the installer hung after 8 minutes for over 40 minutes on the “Starting vSphere Web Client Services” step, and never completed. The vCenter welcome screen comes up, but the vsphere-client just shows an unadorned login page and never responds beyond that. This is the same result I got when installing under Fusion, using the “ultimate-automation-guide-to-deploying-vcsa-6-0-part-1-embedded-node”. I’m starting to wonder if vCenter 6 requires internet access in order to complete the install – I have it on an isolated VLAN for testing. afaik VCSA 6.0 definitely does not require internet access, in fact I’ve deployed it in several environments that definitely does not have the ability to reach out to the internet and it was successful. I’ve not tried additional layer of Nested like you have but definitely have gotten this to work with latest Fusion release. However, one thing I would note is that VCSA 6.0 does require proper NTP source (so when you deployed directly to Fusion, not sure if you specified one or just did time sync from host) other than that it should work. You can always look at the console of the DCUI to see if there’s any errors. Good to know that it works on an isolated net. Re: logs, there are many to look at. I don’t see anything obviously wrong. Any suggestions? Any string I could search for? I know on vCenter 5.5U2 I had to assign a name to the host and also for esxi in /etc/hosts to fix a problem with SSO. Is it the same for 6? 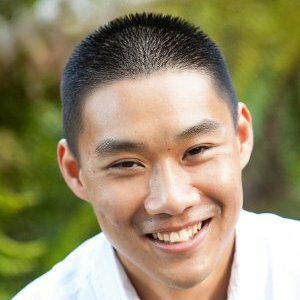 Great article, I have really enjoyed your article. 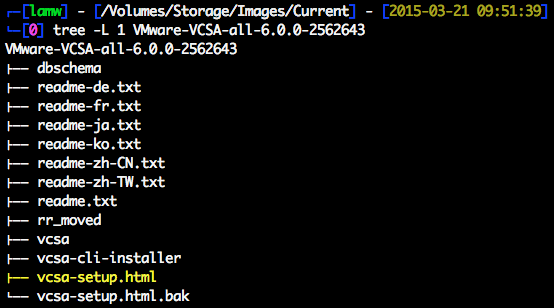 You show how to deploy VCSA 6.0 using the HTML UI Installer on Mac OS X. This will only allow to deploy either an Embedded VCSA or Platform Service Controller. It is really helpful. I have done by the help of your article. The way you explained each and everything is really great Thanks for sharing.